Enhances plant growth. Improves soil hydration. Use for lawn and garden bed preparation. Resource Gardening Chicken Manure - Low odour, fully composted, easy to handle and spread. Helps correct soil problems and a good source of magnesium and calcium that are essential plant nutrients. 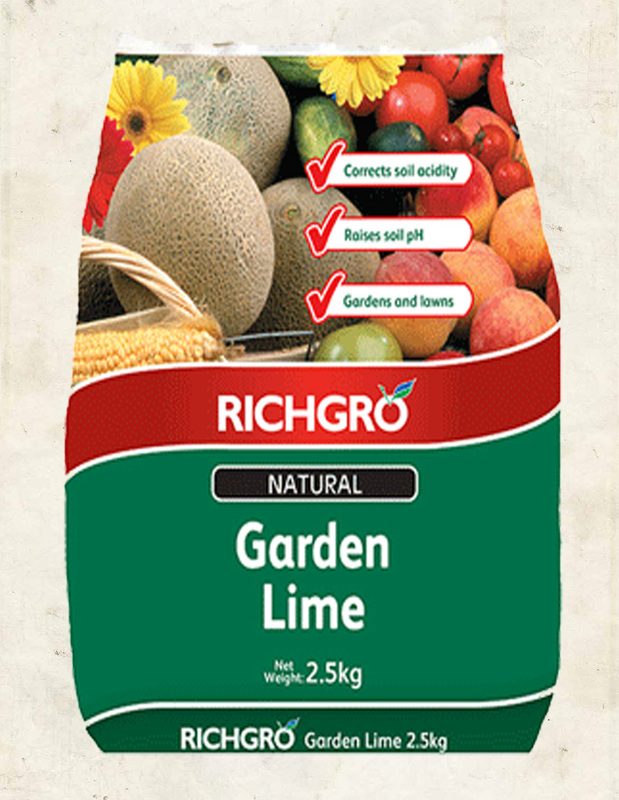 Richgro Natural Garden Lime helps plants to obtain nutrients from the soil and assists the decomposition of organic matter. Bug Killa protects Azaleas, Roses and ornamental plants from Azalea Lace Bug, Aphids and Scarab Beetle Larvae.